On the hunt for date-night ideas? Don't miss this week's lineup of acclaimed movies showing on the big screen in and around Durham. With a 97 percent critical approval rating and an audience score of 94 percent on Rotten Tomatoes, "Spider-Man: Into the Spider-Verse" has gotten stellar reviews since its release on Dec. 14. The site's critical consensus indicates that "'Spider-Man: Into the Spider-Verse' matches bold storytelling with striking animation for a purely enjoyable adventure with heart, humor and plenty of superhero action." Interested? It's playing at AMC Classic Durham 15 (1807 Martin Luther King Parkway) through Thursday, Jan. 10. Click here for showtimes and tickets. 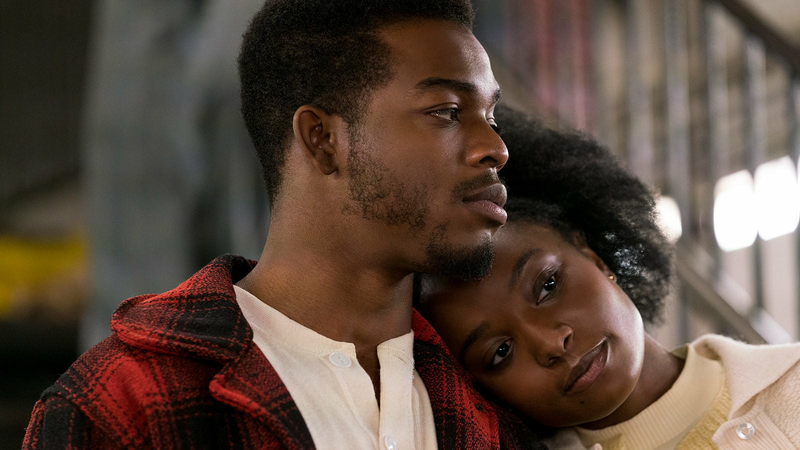 With a critical approval rating of 94 percent and an audience score of 94 percent on Rotten Tomatoes, "If Beale Street Could Talk" has garnered plenty of praise since its release on Dec. 25, with a consensus that "'If Beale Street Could Talk' honors its source material with a beautifully filmed adaptation that finds director Barry Jenkins further strengthening his visual and narrative craft." You can catch it at AMC Southpoint 17 (8030 Renaissance Parkway, #975) through Thursday, Jan. 10. Click here for showtimes and tickets. With a critical approval rating of 94 percent and an audience score of 59 percent on Rotten Tomatoes, "The Favourite" has garnered plenty of praise since its release on Dec. 14. The site's critical consensus notes that "'The Favourite' sees Yorgos Lanthimos balancing a period setting against rich, timely subtext -- and getting roundly stellar performances from his well-chosen stars." Catch it on the big screen at AMC Southpoint 17 (8030 Renaissance Parkway, #975) through Thursday, Jan. 10. Click here for showtimes and tickets. Interested? It's playing at AMC Southpoint 17 (8030 Renaissance Parkway, #975) and AMC Classic Durham 15 (1807 Martin Luther King Parkway) through Thursday, Jan. 10. Click here for showtimes and tickets. With a critical approval rating of 83 percent and an audience score of 84 percent on Rotten Tomatoes, "Creed II" has proven a solid option since its release on Nov. 21, with a consensus that "'Creed II''s adherence to franchise formula adds up to a sequel with few true surprises, but its time-tested generational themes still pack a solid punch." Get a piece of the action at AMC Southpoint 17 (8030 Renaissance Parkway, #975) and AMC Classic Durham 15 (1807 Martin Luther King Parkway) through Thursday, Jan. 10. Click here for showtimes and tickets.